Plymouth’s student paramedics have been named the best in the country at a simulated crisis event. Plymouth University’s student paramedics have been named the best in the country at a simulated crisis event. Third-year students David Williams, Maisie Grainger and James Gardner, alongside lecturer and ‘coach’ Kirstie Brown, won the top award for ‘Excellence in Simulation’ at the Student Paramedic International Rally of Simulations (SPIRES) hosted by Oxford Brookes University. Held for the first time this year, SPIRES is the first UK international student paramedic conference and the only UK student paramedic competition. The team had to perform consistently throughout the day in realistic simulations including a mass casualty incident; a remote medicine challenge; an obstetric emergency; and a number of other medical and traumatic incidents. Their performance was judged and scored by the rally’s keynote speakers and planning team members. To take the title, the students beat off competition from several UK universities as well as one from Queensland, Australia and another from Ankara, Turkey. 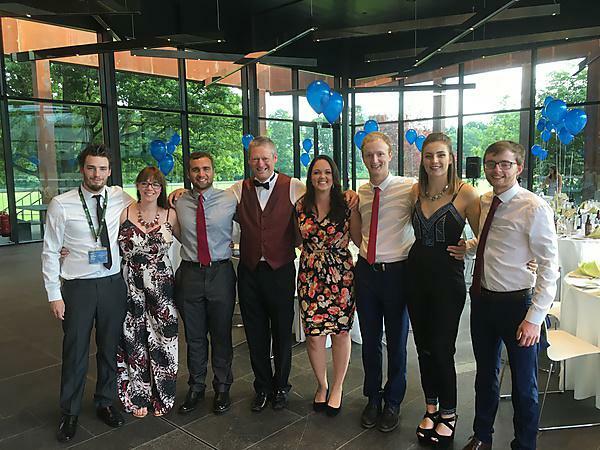 Plymouth also entered a second team, consisting of second-year students Andrew Tyeand Jacob Maddams and first-year student Cherie-Lee Mollentz, which won a bronze award for their management of a cardiac-related emergency. The clinical placements on offer are highly relevant to the Paramedic role as they complement and build on the main Paramedic skills learnt at university. "My favourite placement, other than front line ambulance so far, was in my first year where I was based at an emergency department for two weeks."